An inventor is a person who makes new inventions, devices that perform some kind of function. The devices are mostly electrical or mechanical. Someone that invents new ideas or methods on how to do things may also be called an inventor. Inventors can receive a patent. Many inventors make small changes to old inventions. For example, people have invented new ways to make clocks over history. Early clocks were sundials, later clocks used water, and pendulums. Modern clocks are often electronic. Other machines such as vehicles are made of many inventions. Nikola Tesla invented the alternating current motor, Tesla coil and many other things. Michael Faraday, scientist, discoverer of electromagnetic induction, inventor of the electric motor, founder of electromagnetism. Thomas Edison, inventor of the phonograph and many other things. Alessandro Volta, inventor of the battery. Karl Drais, inventor of the Laufmaschine ("running machine") the first bicycle. John Kemp Starley, many improvements to bicycles. Nicolas-Joseph Cugnot, inventor of the first car (propelled with steam engine). 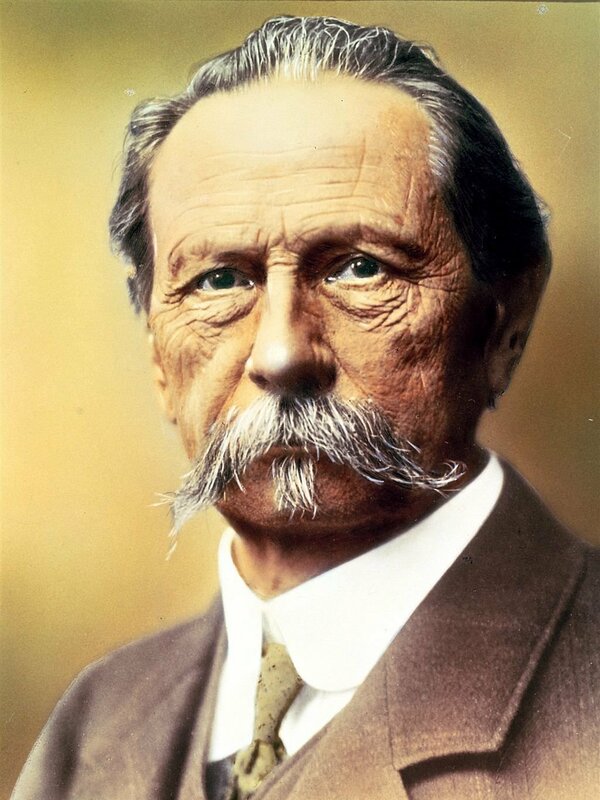 Karl Benz, inventor of the first successful car. Gottlieb Daimler, inventor of the first four-wheel successful car. Nikolaus August Otto, inventor of the first internal-combustion engine. Thomas Savery, Thomas Newcomen, inventors of the first steam engine. James Watt, inventor of the improved steam engine. Richard Trevithick, inventor of the locomotive. George Stephenson (1803 – 1859) inventor of the improved locomotive. Guglielmo Marconi (1874 – 1937) pioneer of radio communication. Samuel Colt (1814-1862) inventor of a better revolver, a repeating pistol. This page was last changed on 18 October 2017, at 18:19.